Visitors like to be told what to do when browsing through a website. Without CTAs, people reading your blog will have a hard time converting on your landing pages because of the lack of access to them. 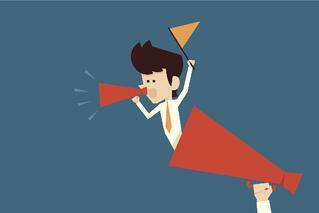 In this blog, we’ll discuss 6 different types of calls-to action to use in your blog posts. When deciding which calls-to-action to use in your blog, the CTA at the very end of your post is probably the most important. After readers finish your blog, you want them to take action. If you have the CRM software, HubSpot, you can actually create what are called “smart CTAs”. This mean that based on where visitors are in your database (if they downloaded a previous offer of yours or if they are a new visitor), they will see different calls-to-actions. For instance, say a visitor downloaded your free trial and visited your blog page again. Instead of seeing the call-to-action for the same or another free trial, the visitor will see another CTA that helps move them through the buyer’s journey. Maybe a case study download. By serving up tailored content to each audience, you can increase conversions throughout the entire funnel. 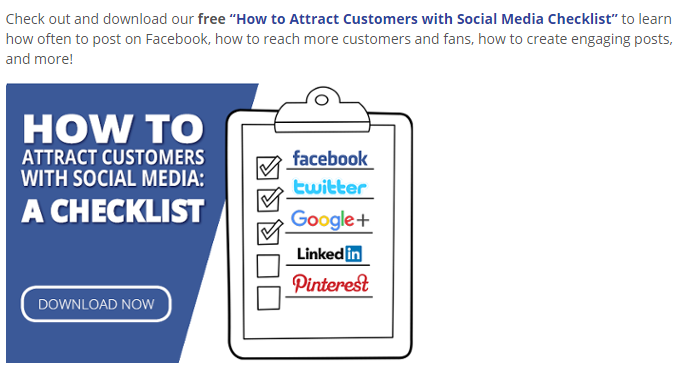 Another useful call-to-action provides links to connect with your business on different social media networks. If someone is reading your content and is interested in it, they are likely to share your content via social media. Therefore, you want to be sure you’re including social media sharing icons on your blog page. If your readers are interested in your content, they’ll want to subscribe to your newsletter to receive more content from you. So, if you want to increase your subscriber base, make sure you’re including a CTA that allows your readers to fill out a form to receive email updates from you. Only ask for the necessary information you need. This may just be their email address. The fewer fields you have on a form, the more likely your leads are to fill it out. A great and popular way to end your blog post is to encourage reads to comment and share their thoughts on your article. The end goal is to get readers to engage with your blog post in the comments. All calls-to-actions don’t have to be huge and colorful with an exciting image. "Attention-grabbing" CTAs are great, however, they’re not the only ones you can use. 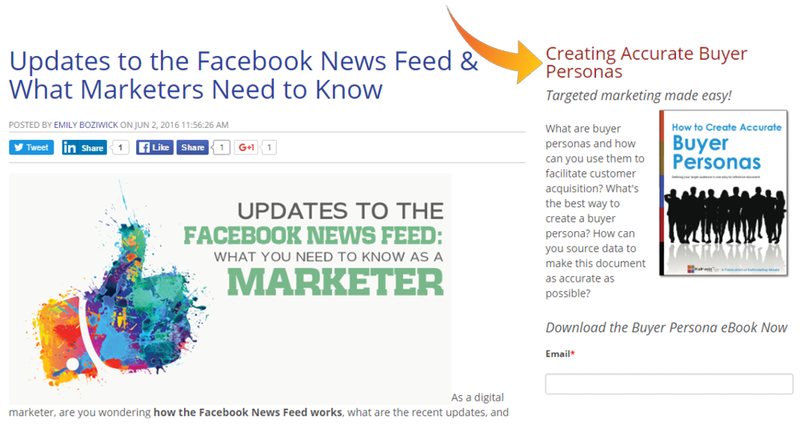 Also effective for blogging are in-line CTAs. These are simply links in your blog post that provide more information on given topics. They do the same thing as CTA buttons, directing people to take an action, but instead it is written as a link. Another very important call-to-action to include in your blog is called a sidebar CTA. These are CTAs that may not be relevant to your blog post, but are relevant to your company. These types of calls-to-action are great for helping drive company goals, even though it may not be vital to the blog post. Want to Create a Compelling Call-To-Action? Now it’s your turn! 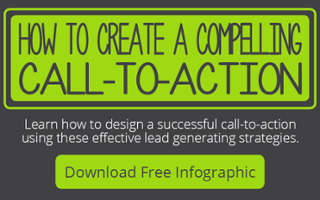 Start creating these 6 different types of calls-to-action to include in your blog by downloading our FREE How to Create a Compelling Call-To-Action Infographic! So... to increase conversions, you need to add more CTAs, right? Wrong! Yes, you an increase your conversions by adding several CTAs on one blog page, however you need to make sure these CTAs are all different from one another.